Have you ever thought what is the similarity between an established writer, a new writer, a freelancer and someone who just writes casually? Everyone mentioned gets across a writers’ block. All writers are familiar to gaze at a blinking cursor on an empty page wondering how they are going to get it filled with 3000 original words that can involve the reader, bring traffic and earn some ranking from Google. Over the years, as a writer, many have come face-to-face with this blinking cursor several times. With age and experience have understood some points regarding writing techniques and now have the wisdom to transform this blinking cursor from a dreaded thing to a friend, who waits and provokes to write. 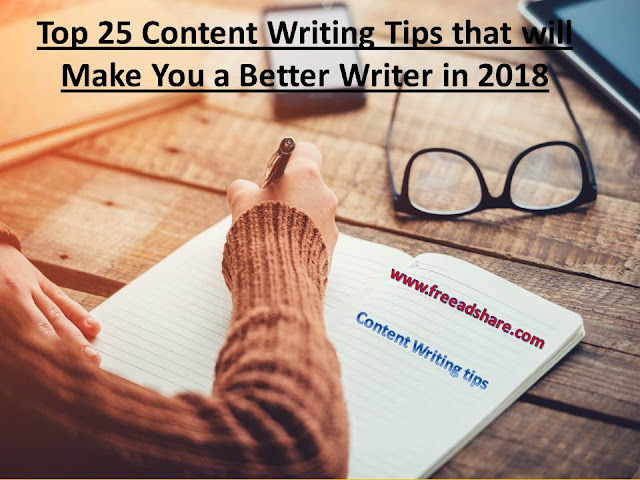 There are few tips we are sharing, to make you a better writer. Please read and imbibe! And just like that, I want to share a few more words that I know in my heart from years of writing. 1. If you don’t write it during the allotted time, then you better write it well! There can be a possibility that the topic you have chosen is already written about.So make it completely original so that people would prefer your piece of the writing place of others. Explore different genres and come out of your comfort zone. When it gets boring, write something about your choice to rekindle your passion. 3. Sometimes writing about stuff of not your choice makes the difference between just bread and bread with butter and jam. Don't panic if the topics are new or out of your comfort zone. You will always end up learning something. Spend extra time or extra night and do work in adab=vance. This will give you time to make your edits better as you will get time to re-read what you have written. Don’t just regurgitate but take time to gain first-hand experience and then write about it. This will provide a unique feature to your writing. Writer’s have experienced so do listen to the hacks other writers apply and try to inculcate them in your write-ups (if they benefit you). It is the tough job but do look at your articles from other angles and make changes. It is ok if your writings are praised and it is equally ok when they are not. Learn and move forward as bouquets and brickbats are part of writer’s life. Write articles related to buzz topics. It might sound like ‘clickbait’ but currently, the online world is following this. Learn to measure your success as a writer and they will make goals for you. You have to market your content anyway because no matter how excellent your content is, it has to reach people. Therefore, find ways as a content marketer to increase the reach of your content. This will help your article to get wider reach, recognition and all the stuff you want including monetary gains! Use tools for correcting grammatical mistakes etc. Take time from your client for the topics that need extra time for research. Keep a written text about all the task you have to complete so that you do not miss on anything. People are attracted by the appearance of your site do keep it appealing. Do your rewriting part but remember the first write-up about a certain topic is painstakingly constructed. Respect that! Make it a habit to save your work every five minutes otherwise it can cause a heavy loss for you as a writer. Use SEO techniques with images and everything else to spread your word largely in the domain. Make changes in your old content and include the latest information to continue getting the views. Always take the support of cheat sheets when in doubt. If the writer's voice will be available. People would defiantly take more interest in your writing piece. There are modes like self-publishing, video texting etc. Which will keep on changing with time? Keep a good knowledge about these things and what is going on in trend and follow them. Writing is not only about writing and researching. So one has to continue learning with the changing taste of readers. One has to know what are the marketing tools that are coming up and replacing the old ones in order to keep their write-up’s presence at a relevant or targeted reach.